Unfortunately, no photo of this train is available. This is a First Class ticket, produced by British Rail. The Cotswold-Derwent Special calls at Hanborough on its way from Oxford to Matlock on 12th June 1982. The Cotswold-Severn No 2 stands at Bewdley station on 6th August 1983. Photographer unknown. The CLPG's second Cotswold-Ouse Special prepares to leave York on its return journey on 5th May 1984. 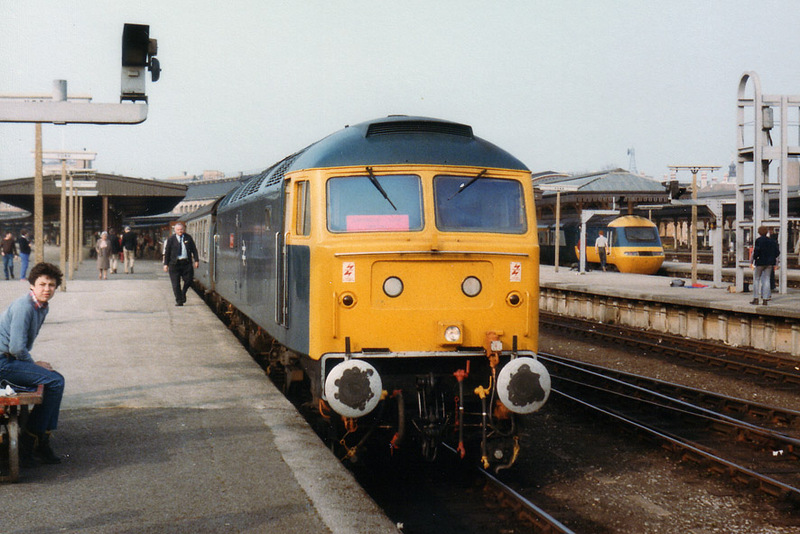 The Cotswold-Dart Special prepares to leave Paignton on 2nd September 1984. 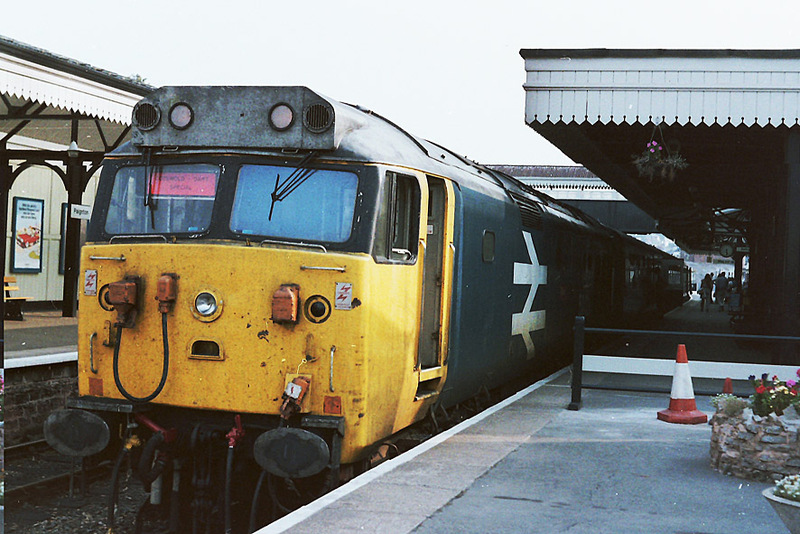 The Cotswold-Dee Special awaits departure from Chester on 27th April 1985. The Cotswold-Portsea Special calls to collect passengers at Charlbury on 25th May 1986. 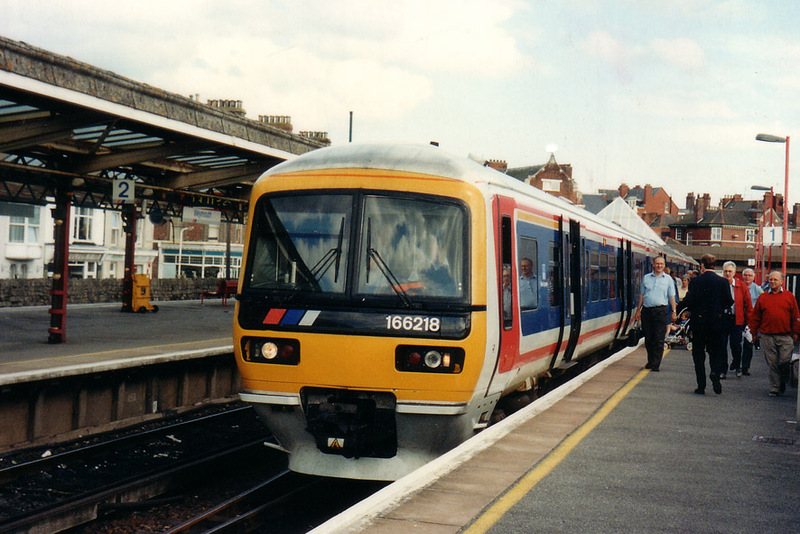 The Cotswold-Dorset Express at Weymouth on 14th June 1997, prior to departure on its return journey. 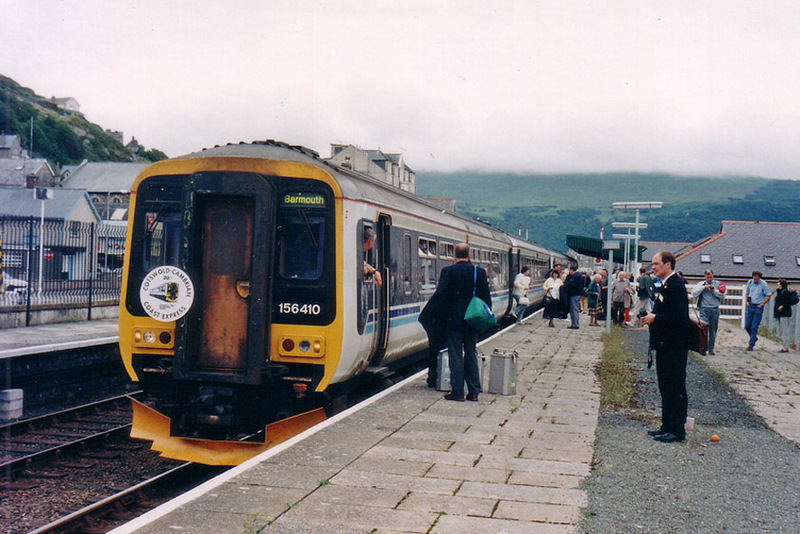 The Cotswold-Cambrian Coast Express has arrived at Barmouth on 5th July 1998. 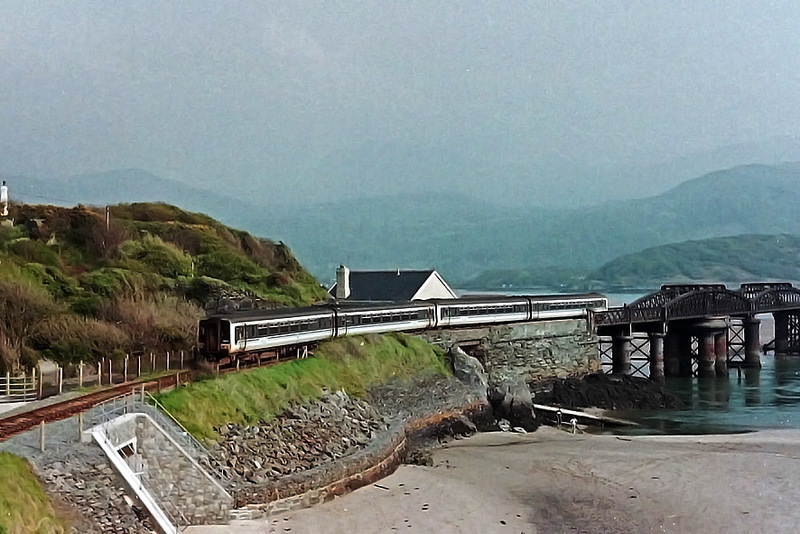 The CLPG's second Cotswold-Cambrian Coast Express returns to Barmouth from being stabled at Machynlleth on 2nd May 1999. 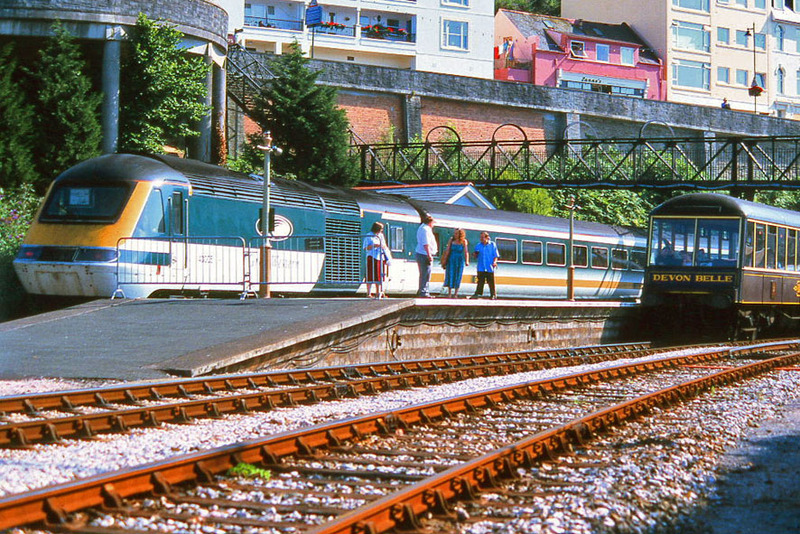 The Cotswold-Dart Express on arrival at Kingswear. Photo: Steve Widdowson. 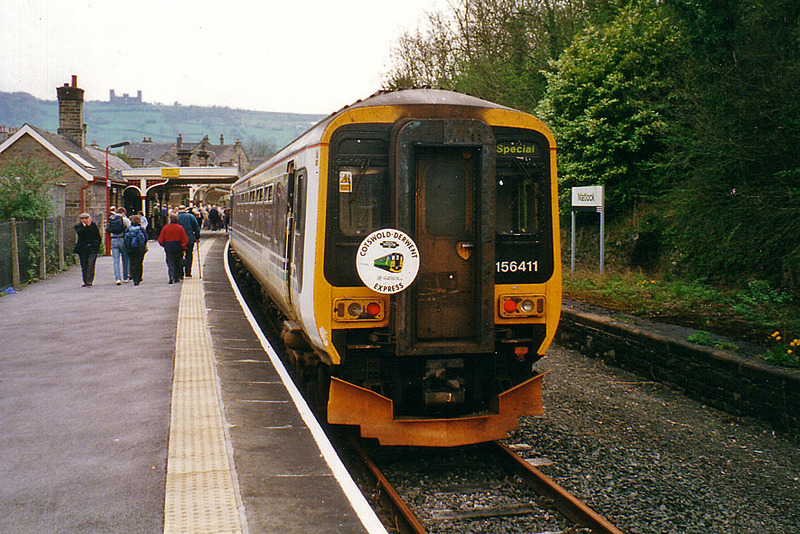 The Cotswold-Derwent Express on arrival at Matlock on 30th April 2000. Photo: Derek Potter. 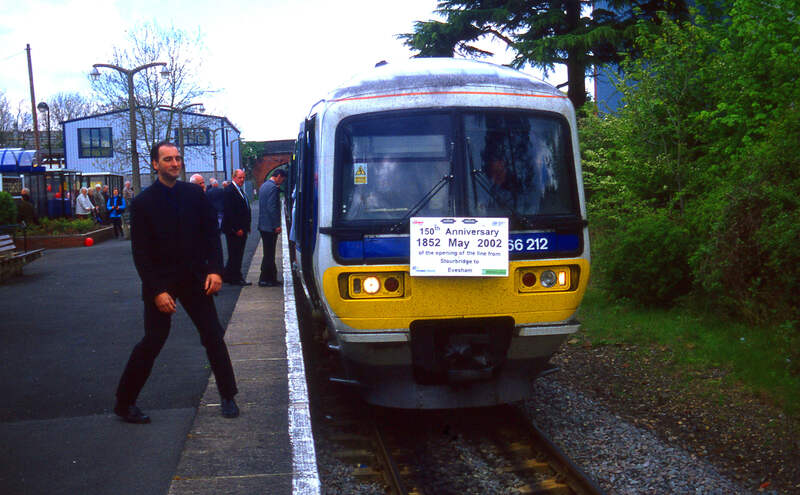 Comedian Alastair McGowan, who grew up in Evesham, was the guest of honour at celebrations of the 150th anniversary of the opening of the line between Stourbridge and Evesham on 5th May 2002. 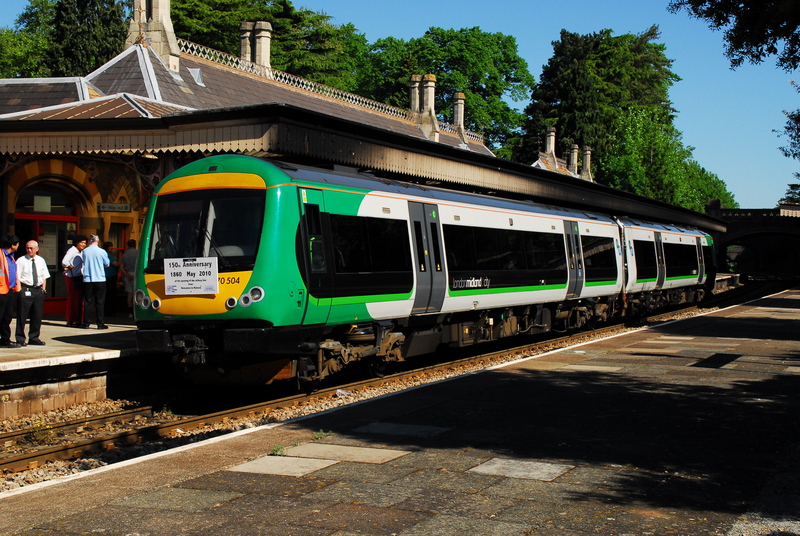 The train is pictured at Pershore. Photo: Steve Widdowson. The Cotswold-Taff Express in the bay platform at Oxford prior to its journey to Cardiff on 4th October 2003. Photo: Brian Clayton. 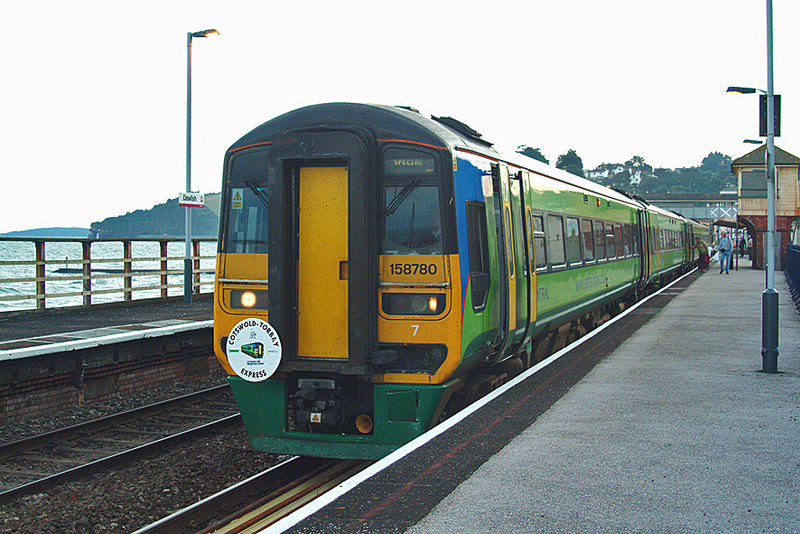 The Cotswold-Torbay Express calls at Dawlish on its return journey from Paignton on 24th September 2005. Photo: Steve Widdowson. The Cotswold-Quantock Express at Minehead station on 18th September 2010 for its return journey to Oxford and Worcester. Photo: Steve Widdowson. 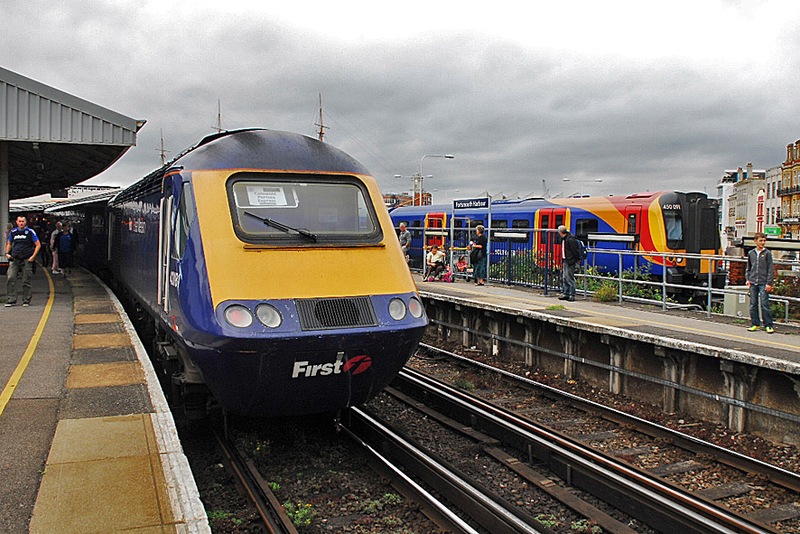 The Cotswold-Portsea Express on 10th September 2011, prior to departure from Portsmouth Harbour station. Photo: Steve Widdowson. The Cotswold-Ouse Express at York on 15th September 2012. Photo: William Crossley. The Cotswold-Purbeck Express at Corfe Castle on 28th September 2013. The Adlestrop Centenary Special on arrival at Moreton-in-Marsh on 24th June 2014. 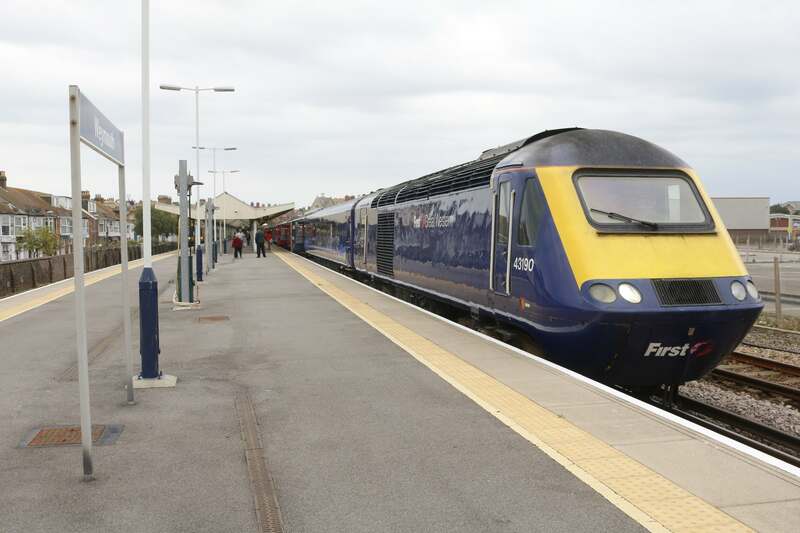 Photo: SWNS/FGW. The prospect of running special trains did not feature in the early plans of the Cotswold Line Promotion Group. In 1978, the priority was to concentrate on encouraging people to use the normal service trains so that the case for closure of the line would be considerably weakened. Early in 1981, a senior manager of British Rail suggested to the Cotswold Line Promotion Group that it should consider running a charter train and offered a special price to give the Group the incentive to try one. The Group has now run 21 such excursions and these are listed below and on the following pages. The British Rail Era - 1981 to 1986. 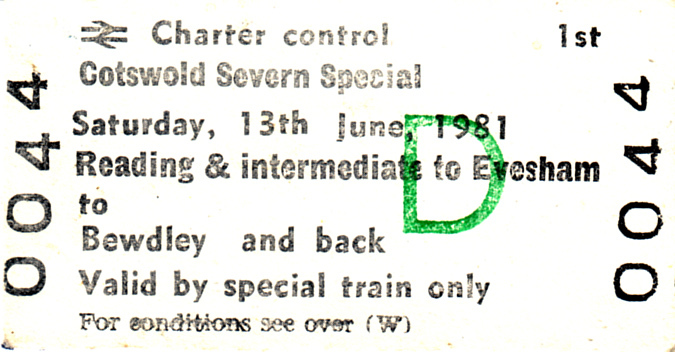 Saturday 13th June 1981 - The Cotswold-Severn Special. 6 car Diesel Multiple Unit from Reading to Bewdley on the Severn Valley Railway. Saturday 12th June 1982 - The Cotswold-Derwent Special. 3 car Diesel Multiple Unit from Oxford to Matlock via Worcester. 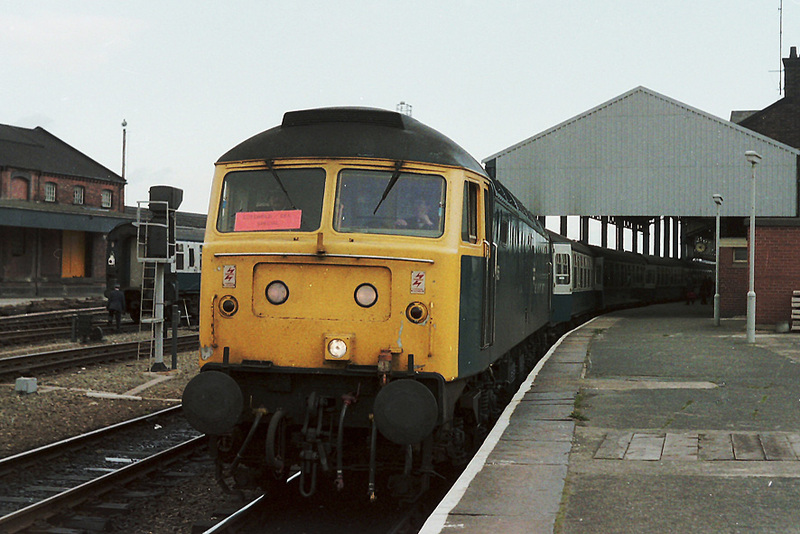 Saturday 6th August 1983 - The Cotswold-Severn Special No. 2. 3 car Diesel Multiple Unit from Oxford to Bewdley on the Severn Valley Railway. Saturday 14th April 1984 - The Cotswold-Ouse Special. The Group's first locomotive and coach charter, which ran from Oxford to York via Worcester, hauled by 47549. Part of the "Finstock 50" celebrations, the 9 coach train was fully booked two months before the day. Saturday 5th May 1984 - The Cotswold-Ouse Special No. 2. A 12 coach "relief" train, hauled by 47513 "Severn", for the trip on 14th April. Also fully booked a month before the day. This train did not call at Finstock. Sunday 2nd September 1984 - The Cotswold-Dart Special. Locomotive and coaches train, hauled by 50031 "Hood", from Oxford to Torquay and Paignton via Worcester. 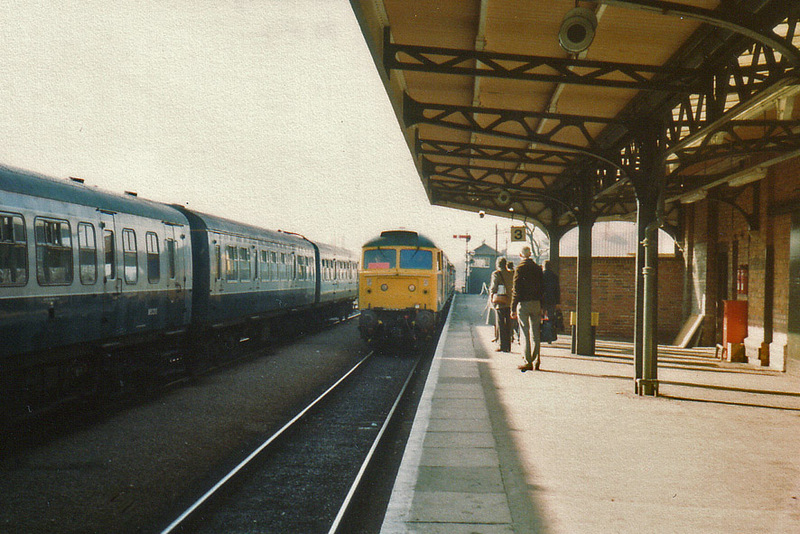 Saturday 27th April 1985 - The Cotswold-Dee Special. Locomotive and coaches excursion from Oxford to Shrewsbury and Chester via Worcester, hauled by a class 47 engine. Sunday 7th July 1985 - The Cotswold-Ouse Special No. 3. Locomotive and coaches train from Oxford to York and Scarborough via Worcester which called at Combe as part of its 50th anniversary celebrations. Monday 26th May 1986 - The Cotswold-Portsea Special. Locomotive and coaches train from Hereford to Winchester and Portsmouth via Oxford. Unforunately a large increase in the price charged for this trip, combined with running on a bank holiday, appeared to discourage people from booking for it and it was the first CLPG charter train to run at a loss. It was to be 11 years before we offered another excursion to our members. After Privatisation of the Railways. This section covers trains from 1997 to 2005. Saturday 14th June 1997 - The Cotswold-Dorset Express. 3 car Thames Trains Turbo number 166218 from Worcester Shrub Hill via Oxford to Dorchester West and Weymouth (outward journey started at Moreton-in-Marsh with passengers from other stations being brought by a preceding service train. Sunday 5th July 1998 - Cotswold-Cambrian Coast Express. 4 coach Central Trains' Super Sprinter train (formed by 156402 and 156410) from Oxford to Barmouth via Worcester. Fully booked within 12 days and eventually 100% oversubscribed. Sunday 2nd May 1999 - The Cotswold-Cambrian Coast Express No. 2. A repeat of the trip with Central Trains of 5th July 1998 for the benefit of those who could not be accommodated on that day. This time, the units were 156403 and 156415. On this occasion, the outward journey was unable to run over any part of the Cotswold Line, so a fleet of four road coaches had to be arranged to transport passsengers to Worcester Shrub Hill. The return train did run through to Oxford. Sunday 25th July 1999 - The Cotswold-Dart Express. 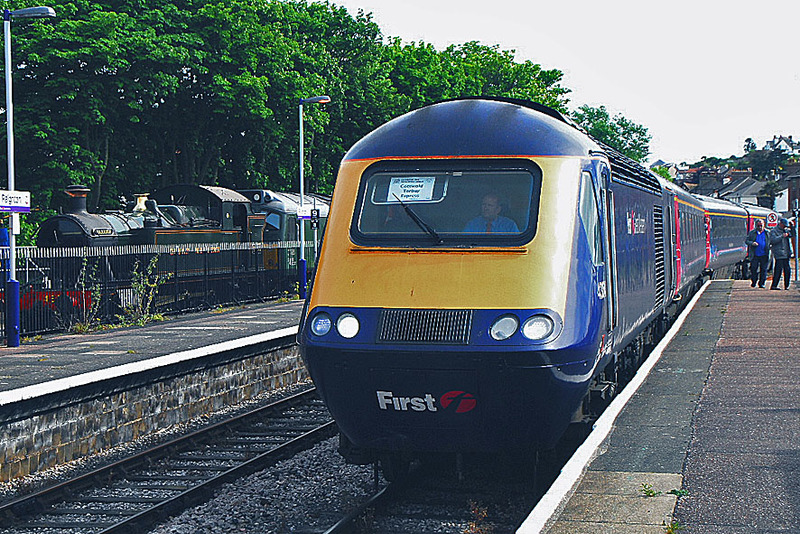 8 coach First Great Western High Speed Train circular tour starting at Hereford and travelling via Oxford to Exeter St. Davids, Dawlish, Teignmouth, Torquay, Paignton and Kingswear (for Dartmouth). Returned via Worcester to Oxford - passengers for stations to Hereford using a Central Train's connecting service. Sunday 30th April 2000 - The Cotswold-Derwent Express. 4 coach Class 156 Central Trains' Super Sprinter train (fomed by156411 and 156419) from Moreton-in-Marsh to Cromford, Matlock Bath and Matlock, via Worcester. The CLPG arranged road transport to Moreton-in-Marsh for those travelling from stations to the east. The return train did run to through to Oxford. Sunday 24th June 2001 - The Cotswold-Dee Express. 4 coach Class 156 Central Trains' Super Sprinter train (formed by 156402 and 156412) from Moreton-in-Marsh to Ruabon and Chester via Worcester. The CLPG again arranged road transport to Moreton-in-Marsh for those travelling from stations to the east. The return train did run to through to Oxford. 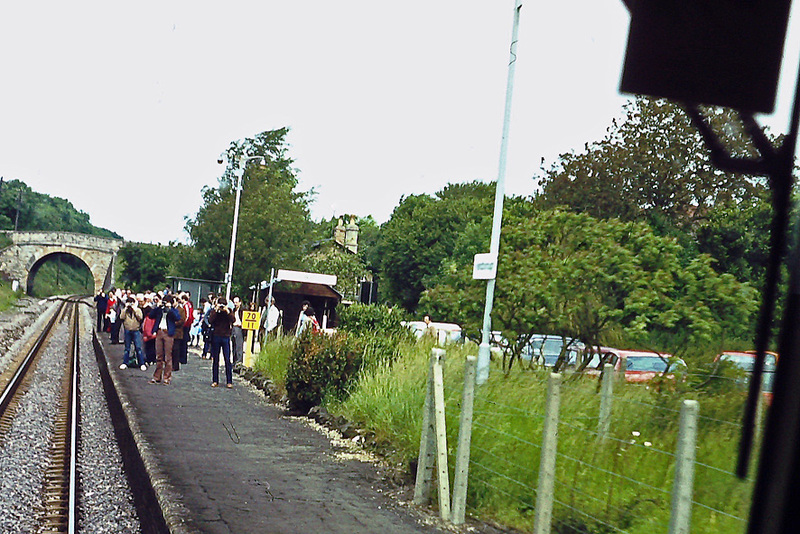 A coach was arranged to take about 50 passengers from Ruabon to Llangollen for a ride on the steam railway there. 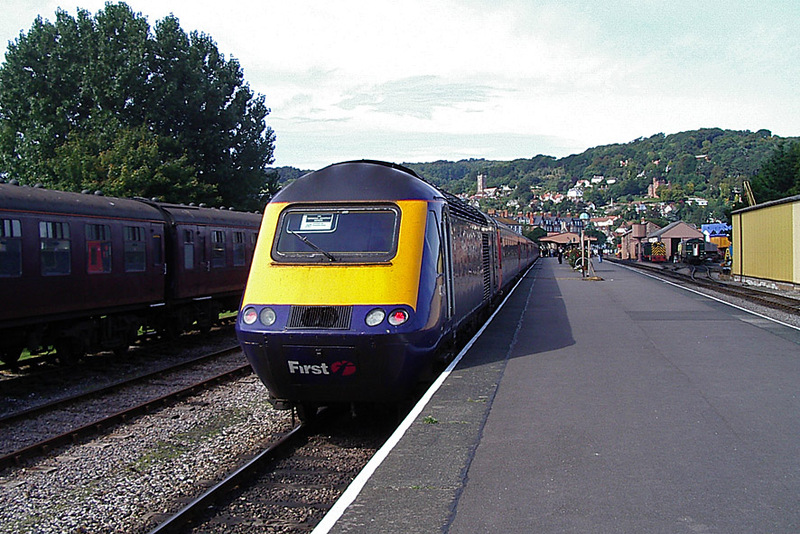 Saturday 4th October 2003 - The Cotswold-Taff Express. 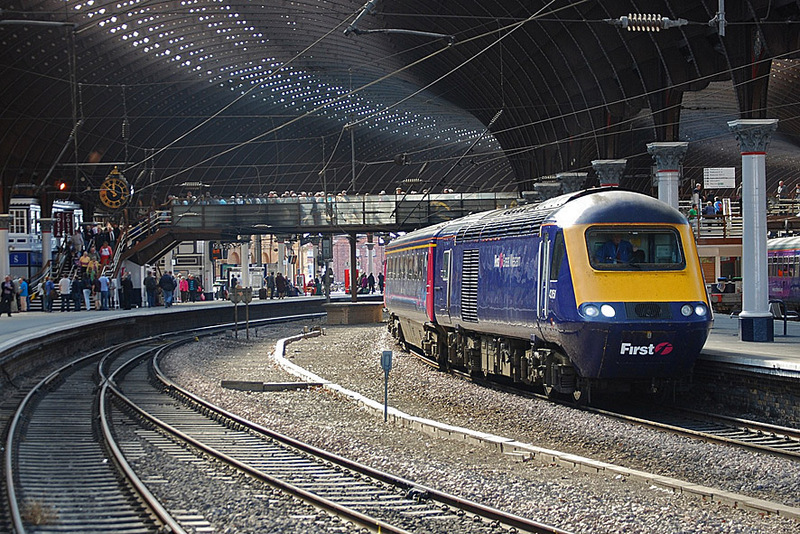 5 coach Central Trains' Super Sprinter train from Oxford to Cardiff via Worcester, formed by units 156405 and 158956. 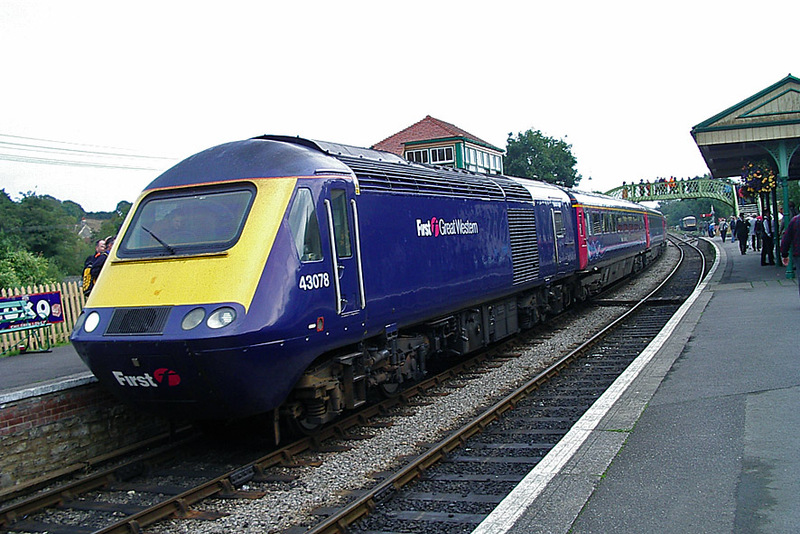 Saturday 24th September 2005- The Cotswold-Torbay Express. 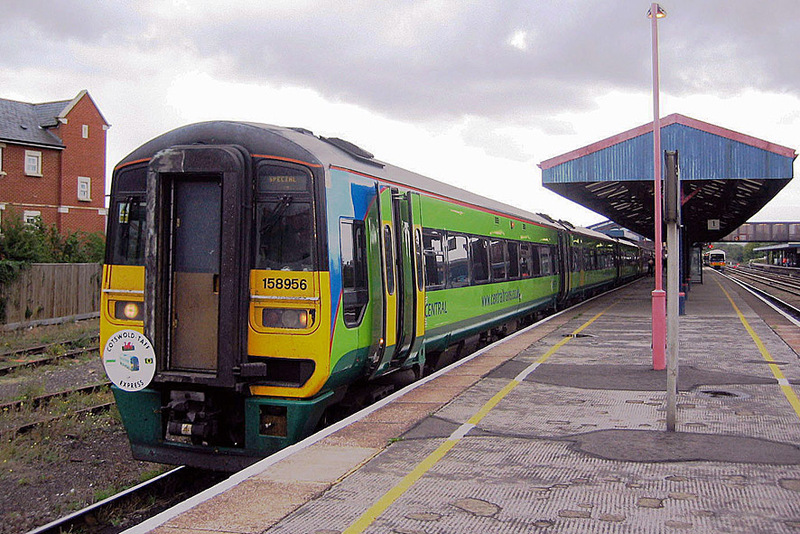 4 Coach Central Trains' Sprinter Express train, formed by 158780 and 158857, from Hereford to Torquay and Paignton via Worcester. The train also called at Aschurch. 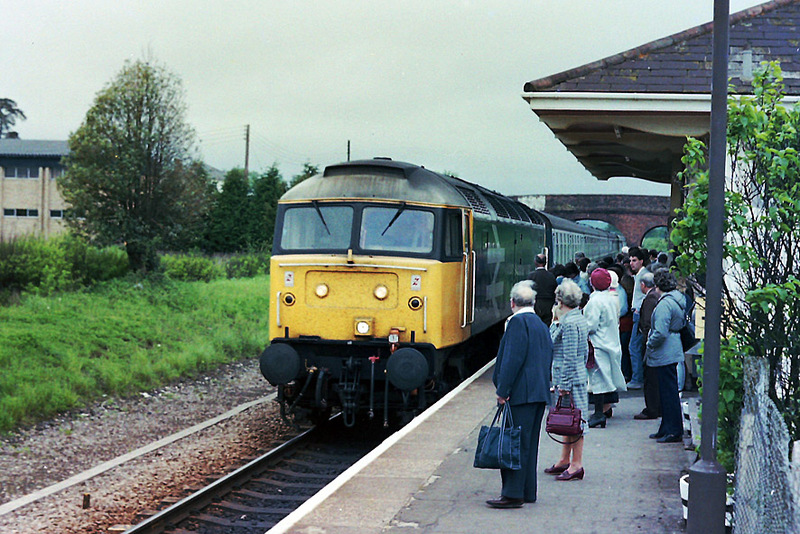 Passengers from the Cotswold Line used First Great Western services to connect with the charter train at Worcester Shrub Hill. This section covers trains from 2009. 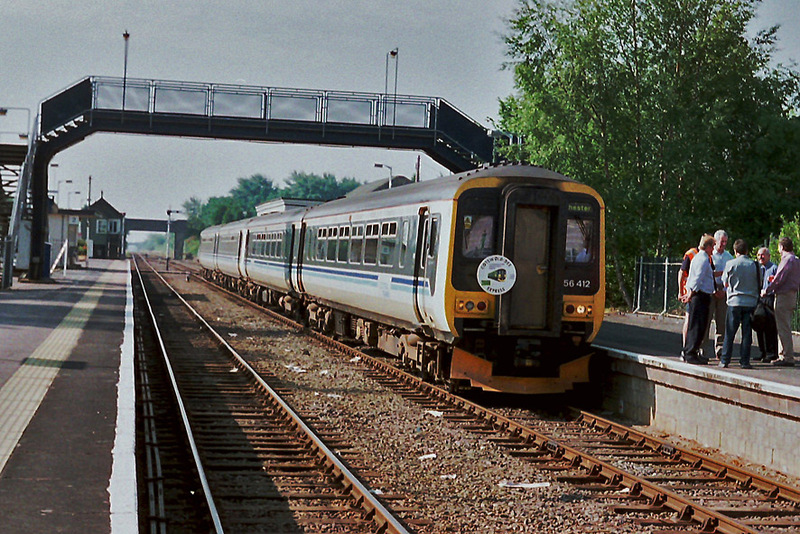 The end of the Central Trains and Wessex Trains franchises appeared to severely limit the possibilities for future excursions. 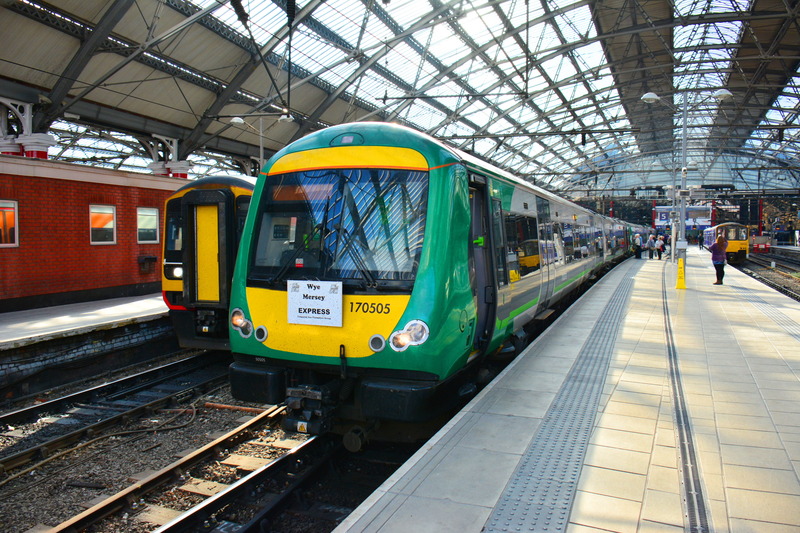 London Midland was no longer under the same ownership as the former Wessex, so the options for charter trains was limited to that company's operating area. Various options were investigated and Liverpool was agreed for 2008, only to find that track work on the West Coast main line precluded this. 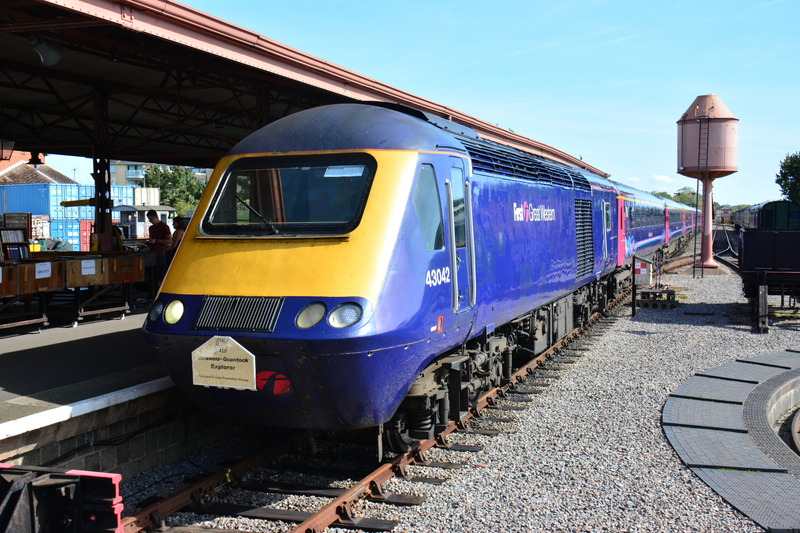 Then came a completely unexpected offer from First Great Western to provide one of its High Speed Trains for an excursion to the West Country at a very reasonable price. After some reservations about the limited time scale to sell tickets, the CLPG decided to go ahead with what turned out to be a most successful venture. Saturday 9th May 2009 - The Cotswold-Torbay Express No 2. 8 coach First Great Western High Speed Train from Worcester to Torquay and Paignton via Oxford, Outward route was via Swindon and Westbury. Returned via Westbury, Bath Spa, Bristol Parkway to Worcester Shrub Hill, then back to Oxford. Saturday 18th September 2010 - The Cotswold-Quantock Express. 8 coach First Great Western High Speed Train from Worcester to Taunton, Bishops Lydeard, Watchet, Dunster and Minehead, via Oxford. Route was via Didcot, Swindon, and Westbury. Returned by same route. 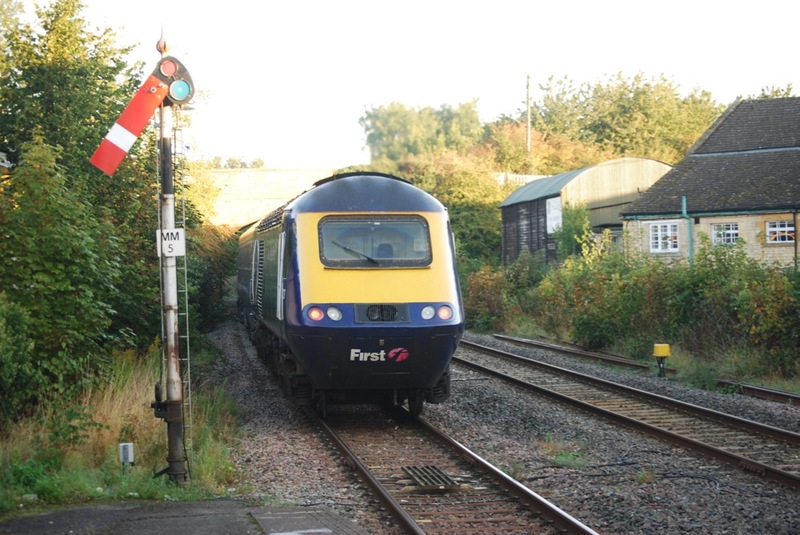 Saturday 10th September 2011 - The Cotswold-Portsea Express. 8 coach First Great Western High Speed Train from Hereford to Portsmouth and Southsea and Portsmouth Harbour, via Oxford. Route was via Didcot, Swindon, Westbury, Salisbury, Romsey and Eastleigh. Returned by same route. Saturday 15th September 2012 - The Cotswold-Ouse Express. 8 coach First Great Western High Speed Train from Oxford to York via Worcester. The train then proceeded to Scarborough as a separate venture by First Great Western. Saturday 28th September 2013 - The Cotswold-Purbeck Express. 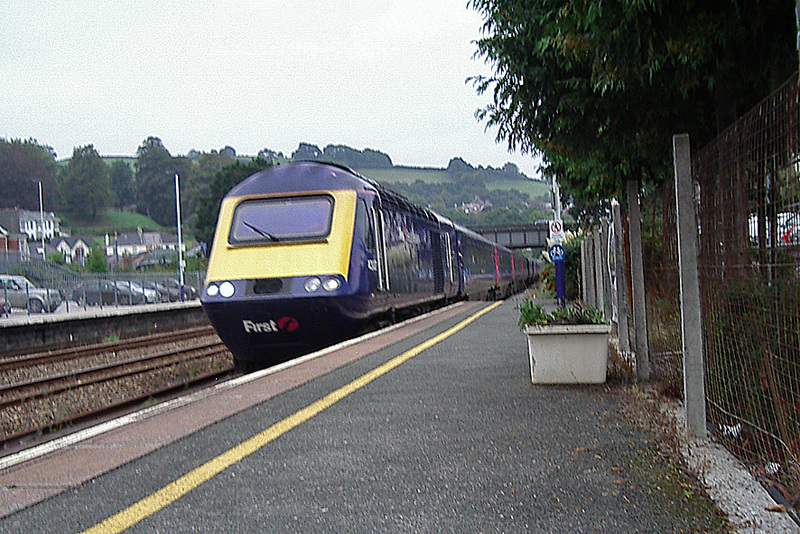 8 coach First Great Western High Speed Train from Worcester Shrub Hill to Corfe Castle via Oxford. 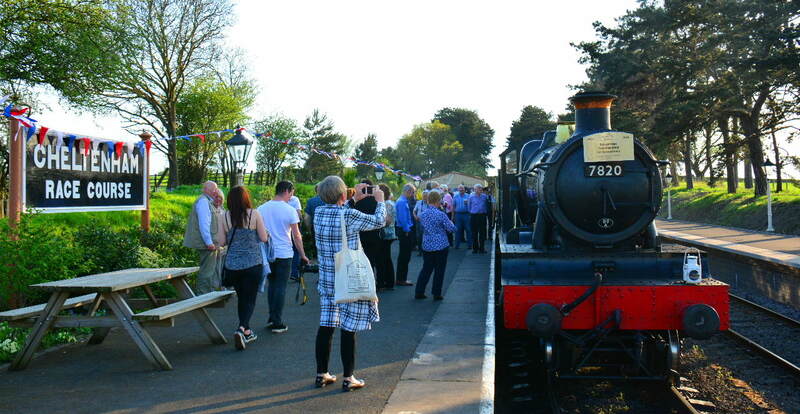 The train was originally planned to run through to Swanage, but clearance problems prevented this and a steam train connecting service was provided by the Swanage Railway. Tuesday 24th June 2014 - The Adlestrop Centenary Special. 3 coach First Great Western Turbo 166204 from Oxford to Moreton-in-Marsh and return to commemorate the 100th anniversary of Edward Thomas' journey along the line which resulted in his writing the poem "Adlestrop". The train called near to the site of the former station for a reading of the poem. Saturday 20th September 2014 - The Cotswold-South Devon Express. 8 coach First Great Western High Speed Train from Worcester Shrub Hill to Exeter St Davids, Teignmouth, Newton Abbot, Totnes and Plymouth via Oxford. 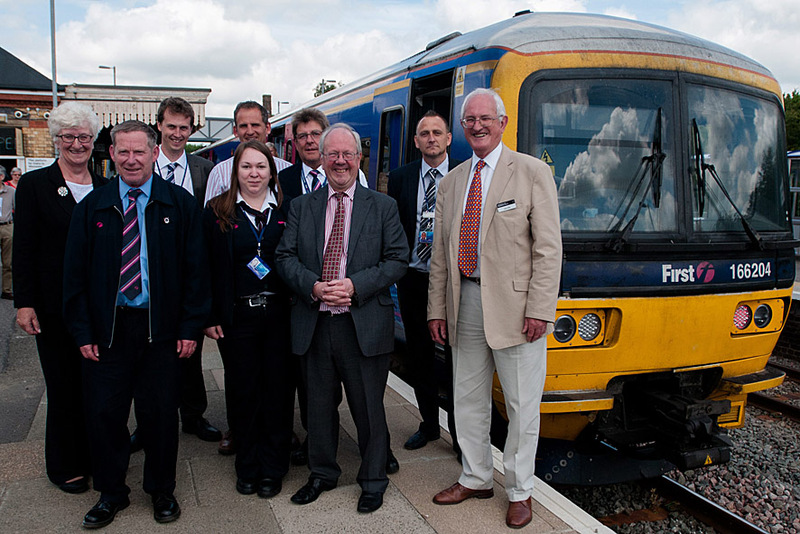 The outward journey was via Melksham and Westbury, the return via Bristol Temple Meads and Bath Spa.